We haven’t mentioned Fund Raising in awhile, but the truth is our Fund Raising will never end. CHRS did a tremendous job by raising enough money to purchase 2152 Central Avenue. Not many historical radio societies that we know of, has raised over $1 Million to purchase their own building… And control their own destiny. So we now have to move forward and build ‘CHRS Radio Central’. We needed your help to purchase Radio Central and you came through with flying colors. 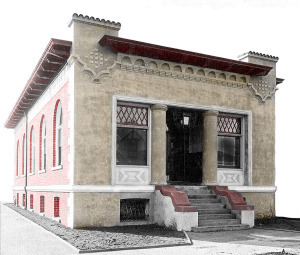 Now the serious work begins to turn this 114 year old telephone / church / school building into a true West Coast Center devoted to Radio. FIRST PRIORITY FUNDING – These are the funds and projects that provide us the capital to move forward with our mission on a daily basis. INDEPENDENT FUNDING – These are projects that will enhance and enrich our experience at Radio Central. They will not be funded from the General Construction Fund. They will happen, in time but are not necessarily priorities right now. Although if independently funded now, they will become priorities. We celebrated the induction of the 2014 Class of the Bay Area Radio Hall Of Fame at Spenger’s Fresh Fish Grotto on September 20. Our Master of Ceremonies was the ‘BIG 103’ KOSF’s Don Bleu, BARHOF Class of 2007. The whole induction event was recorded, edited and posted on YouTube by Dave Billeci. Thanks Dave! CLICK HERE TO VIEW. 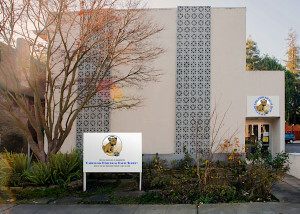 CHRS, in its commitment to the preservation of Bay Area radio history has been associated with projects including John Schneider’s book “Bay Area Radio”. Having CHRS involved with such projects makes CHRS a creditable source for telling the story of Bay Area Radio. 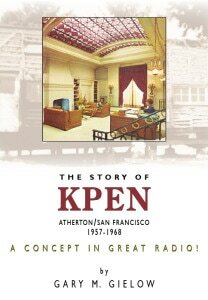 One of the radio stories that has had a profound inpact on our modern scene is about the Jive 95 Era of KSAN, 94.9 San Francisco. This 10 year period was pivotal in the formation of many new concepts and ideas not only about radio, but about the culture of the time. As you know KSAN Jive 95 is being celebrated this year as the BARHOF Legendary Station for 2014. Part of the year long celebration were three events in June, the KSAN reunion concert at Yoshi’s SF, the BARHOF induction luncheon at Spenger’s and KSAN storytelling night at the Monkeyhouse Theater. All events were recorded with multiple cameras by Jesse Block of Crissy Field Productions. So, “KSAN Jive 95: The Movie” was born. CHRS Radio Dog Productions will be the production wing for this important documentary. “KSAN Jive 95: The Movie” is the definitive film documentary on the San Francisco progressive rock, free form radio station that changed the world! KSAN Jive 95 was founded by radio legend Tom “Big Daddy” Donahue in May of 1968 right after the Summer of Love and at the escalation of the Viet Nam war. KSAN Jive 95 spoke to a new generation of radio listeners and the San Francisco Sound of music was the soundtrack of people’s lives.”KSAN Jive 95: The Movie” tells the complete story of the groundbreaking FM radio station through interviews with the DJ’s and personalities that were lucky enough to have been there. Ben Fong-Torres, Dusty Street, Bonnie Simmons, Terry McGovern, Richard Gossett, Scoop Nisker, Edward Bear, and many others are joined by musicians from Jefferson Starship, Big Brother and the Holding Company, Cold Blood, Stoneground, Quicksilver Messenger Service along with Country Joe McDonald to describe in detail the importance of KSAN Jive 95 to the community. It was a counterculture movement with San Francisco and KSAN Jive 95 at the epicenter. 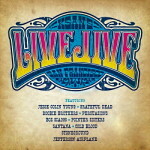 “KSAN Jive 95: The Movie” tells the whole inside story through the eyes of the people who lived the Jive 95 experience. The film is a benefit for the California Historical Radio Society and its Bay Area Radio Museum, an educational 501(c)(3) corporation founded in CA in 1974. “KSAN Jive 95: The Movie” is Produced and Directed by Jesse Block. Senior Producer is Kenny Wardell. Archivist & writer is Steve Roby. Associate Producer is Bonnie Simmons. “KSAN Jive 95: The Movie” is a CHRS Radio Dog Production.You Can Make It Happen! If the Jive 95 was an important part of your life and you want to share it with many, please help us fund the production and distribution of this important film. This film will be funded independently from all other CHRS projects. Please CLICK HERE TO DONATE today. Your donations are of course tax deductible. 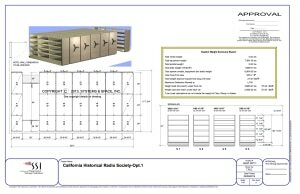 The CHRS Bay Area Radio Museum site has been updated with a fresh new look. If you haven’t visited in awhile, check it out.Our BARM / BARHOF site has the people, stations, exhibits and audio clips that have made Bay Area Radio great. We hope you enjoy our new look. It is still a work in progress. Please check back as we will be trying to add new material on a more regular basis. 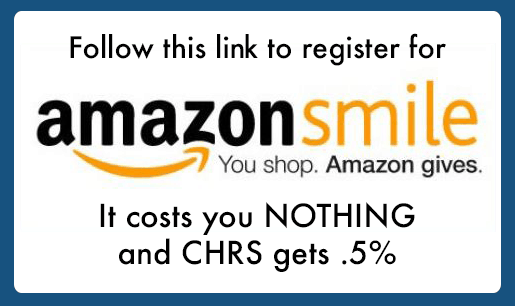 HOW TO REMIT – The three best ways are to send your check made out to CHRS to our Treasurer Richard Watts, 4036 Copper Creek Drive, Modesto, CA 95355, CLICK HERE TO FULFILL MY PLEDGE or if you have stocks or securities to donate, CONTACT DIRECTOR TOM BONOMO. Dave Sauer – $10,000 – Donation Doubled! Alan Martin – $10,000 – Donation increased Times 10! Richard & Janet Watts – $5,000 – Donation Increased! Daryl Jones – $6,000 – Donation Increased Times 5! Robert & Reina Swart – $10,000 – Donation Doubled! Geoff Day – $8,000 – Donation More Than Doubled! Bert Buss – $10,000 – Donation Doubled! Dennis & Susan Monticelli – $10,000 – Donation Doubled! Larry & Joan Drees – $25,000 – Donation Increased!… Again! Tom & Julie Bonomo – $30,000 – Donation Increased! George Patterson – $40,000 – Donation Increased! Gilles Vrignaud – $26,000 – Donation Increased! Tom Nelson – $40,000 – Donation Increased! Norman Leal – $275,000 – Donation More Than Tripled! Philip Monego – $118,000 – Donation Increased! Scott Robinson – $124,300 – Donation Increased… Again! SF Bay Area SBE Chapter 40 – $2,000 – Donation Doubled! We are grateful to each and every person and organization supporting our efforts. Please remember to mention our efforts to friends, family and people you meet. You never know where our angels may come from.